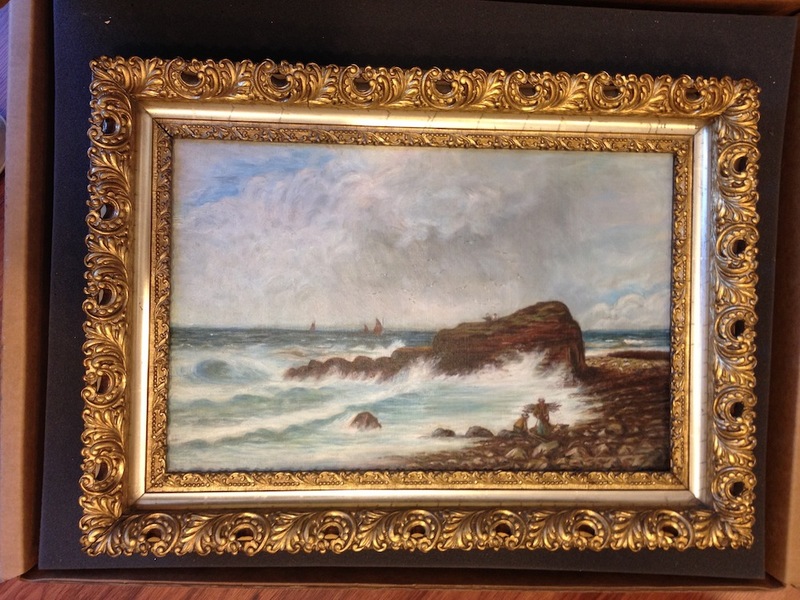 This painting came to us from avid collector in NYC. 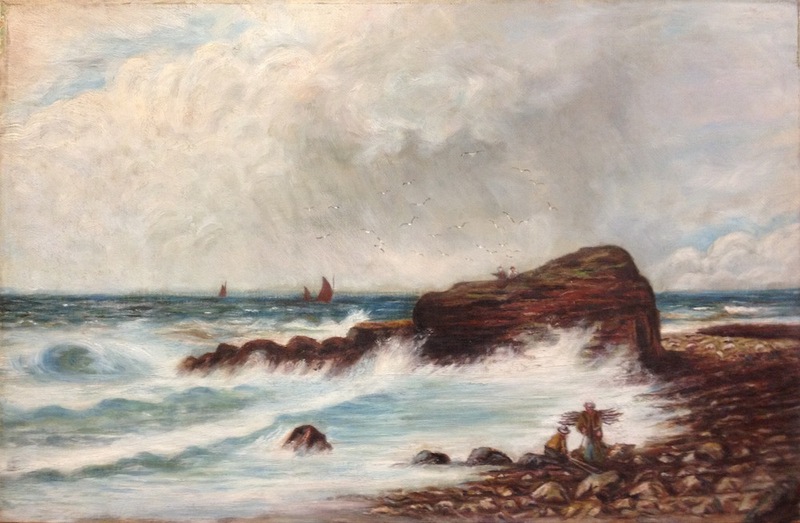 It’s a lovely painting, about 100 years old, that had an unknown history. 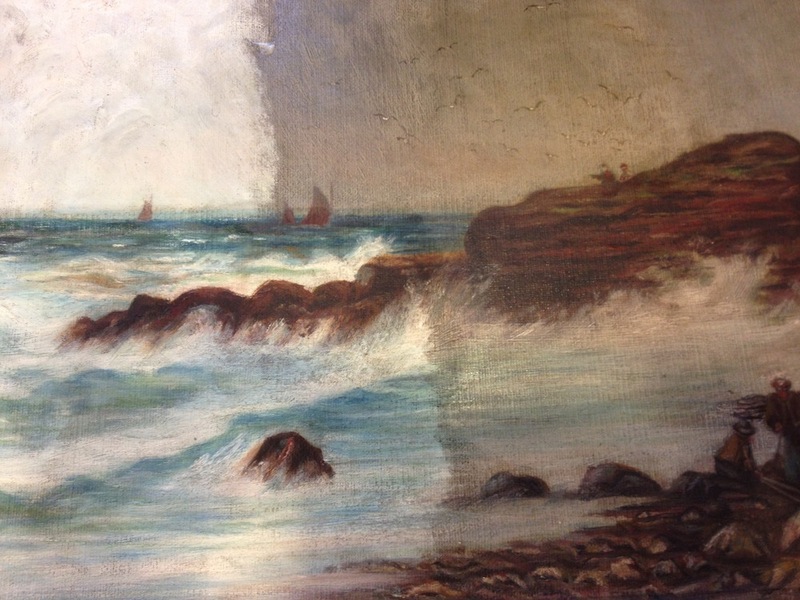 This particular painting was very dirty, and probably spent a lot of time, years, over a fire place; but one never really knows. 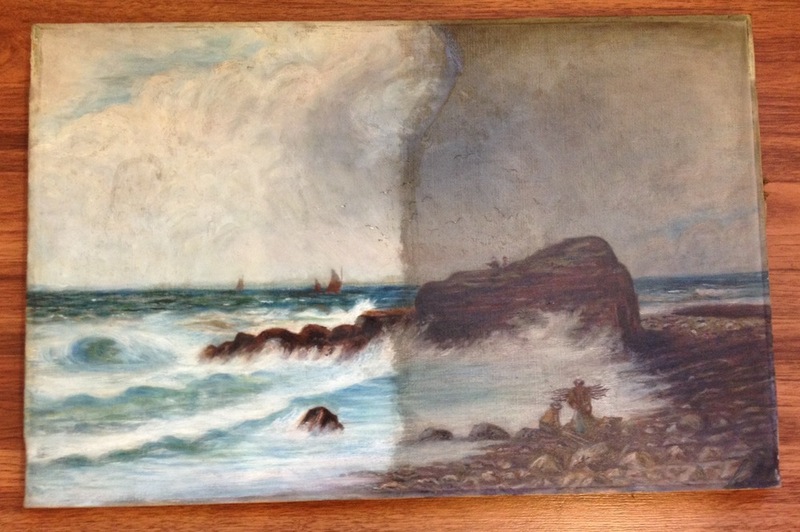 As you can see from our testing (first photo), that this painting really cleaned up nicely. We did a thorough cleaning, some in-painting where needed, and a final varnish. The result was significant, and a happy one for our good customer. 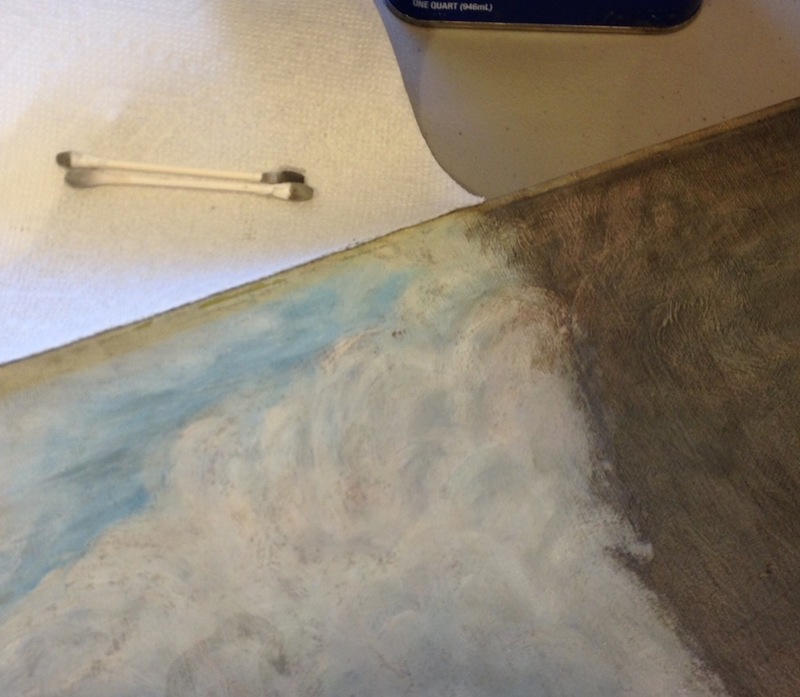 The photos below show some of the process of this painting being restored. 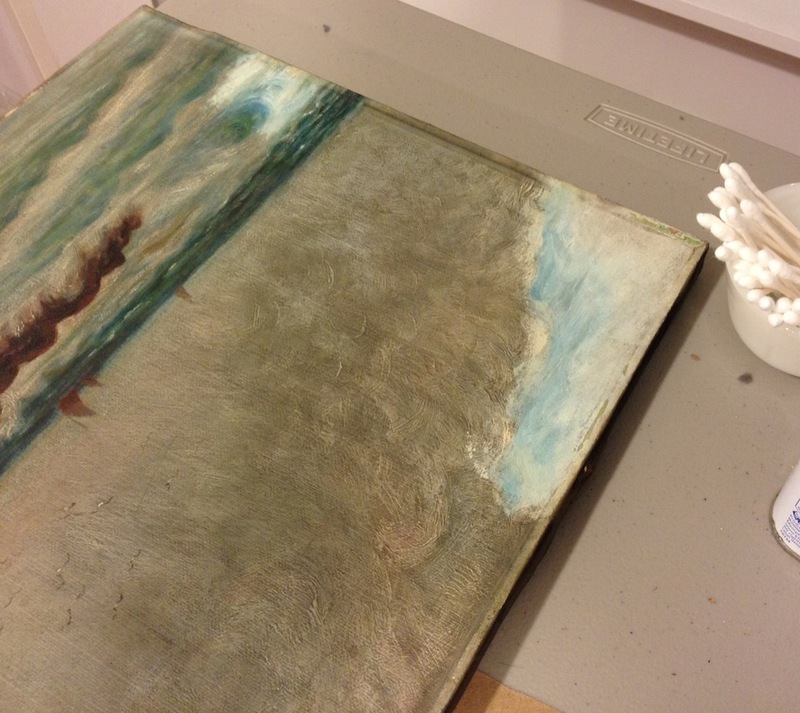 Painting in special mailing box, ready to go home.